I have read with interest this morning your final position statement on nicotine vapourisers (e-cigarettes), and should like to take issue with you on this position. Not in part, but as a whole. If there’s one constant in this multiverse it is the incessant need for folk to have to blame someone else for their stupidity. In some (rare) cases, it is actually the fault of the product either through some kind of wacky early-life failure or through some product design flaw. Sadly, the majority of these kinds of cases is simply down to Darwinism. Well OK, not all cases are down to Darwinism some are, to put it mildly outright lying…. The World Health Organisation’s (WHO) Framework Convention on Tobacco Control (FCTC) held huge sway during the drafting of proposals for the Tobacco Products Directive (TPD) and the ecig-related Article 20. Many allegations of corrupt science blighted its passage into law. Vapers may ask themselves, in light of a recent Panorama investigation, if dishonesty went to a financial and drafting level. Having run my own Vape store for the past three years, I thought that most of the anxiety witnessed was when a new customer is being talked through their first ever purchase. You can sometimes smell the fear when you mention “atomisers”, “variable voltage/wattage” and then there’s the “juice menu”. Lots of flavour choices and varying nicotine strengths. You get the picture. Now there’s a new generation of anxious Vaper. Not just anxious…distraught! Today (Saturday) was the day Norwegian vapers hit the streets to show that we’re not at all happy with our governments attempt to implement the TPD. I was attending the demonstration in Trondheim, where somewhere between 40 and 50 people gathered to protest against the governments disguised TPD implementation. Now I know this might not sound to impressive, but you have to take into account that Norway is not a very big country, and only a bit less than 180.000 people live in Trondheim. Besides… those 40 to 50 people made sure we were noticed when walking down the busiest shopping street in town…. Håkon Olov Leira, Postdoctoral Fellow, Norwegian University of Science and Technology, Trondheim Norway. E-cigarettes are a good alternative to regular cigarettes, they can save many years of life lost and lost years of health, respectively. Sadly the Health Minister and central health communities want to restrict access…. 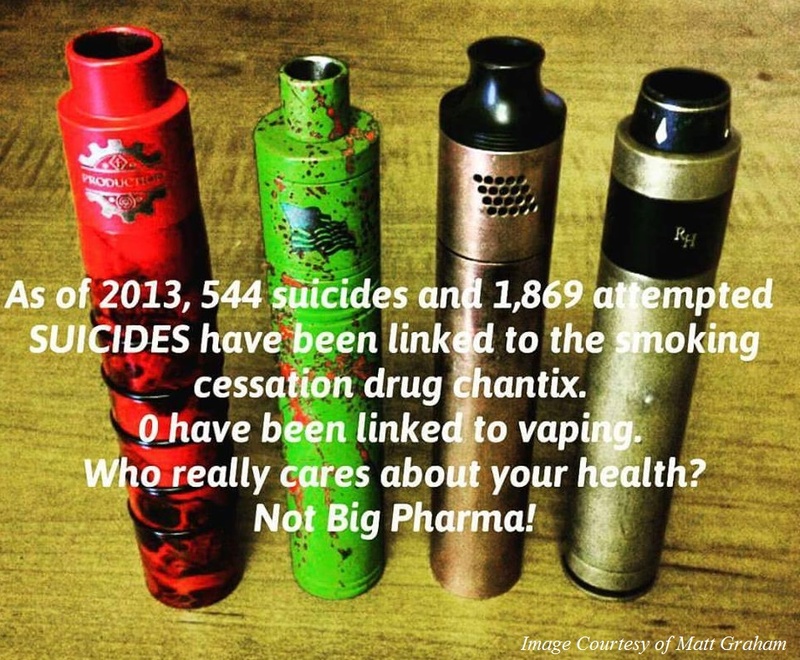 According to the recent Electronic Cigarette study conducted by researchers at Harvard University, eCigarettes might not be the new panacea proponents are now claiming will be the end of big tobacco. The Ontario government is blowing smoke when it comes to a crackdown on vaping, PC MPP Randy Hillier says. The former smoker and now committed vaper is challenging new e-cigarette rules that take effect Jan. 1 across Ontario. A new Gallup poll shows cigarette smoking among young adults has plummeted to a new low just one month after data from Centers for Disease Control and Prevention (CDC) revealed e-cigarette use surging. The Gallup poll reported a decline in smoking among adults aged 18-29 by a 12 percentage points to 22 percent over the past decade…. The third Michael Russell Memorial Oration during the conference will be delivered by Donna Darvill, one of the founding members of the New Nicotine Alliance (Australia). In a pre-emptive measure to protect public health, Singapore has banned emerging tobacco products like e-cigarettes, smokeless cigars and cigarillos from tomorrow. E-cigarettes cannot be advertised in magazines, newspapers, on TV and on radio, from May 2016, the Department of Health (DH) announced today. Research has shown a confounding link between nicotine and reduced risk of Parkinson’s disease. More than 50 years after the discovery of reduced mortality rates in patients with Parkinson’s disease (PD) who smoke cigarettes, researchers may be on the cusp of opening the door to nicotine-based treatments that could help ease symptoms of the disease.